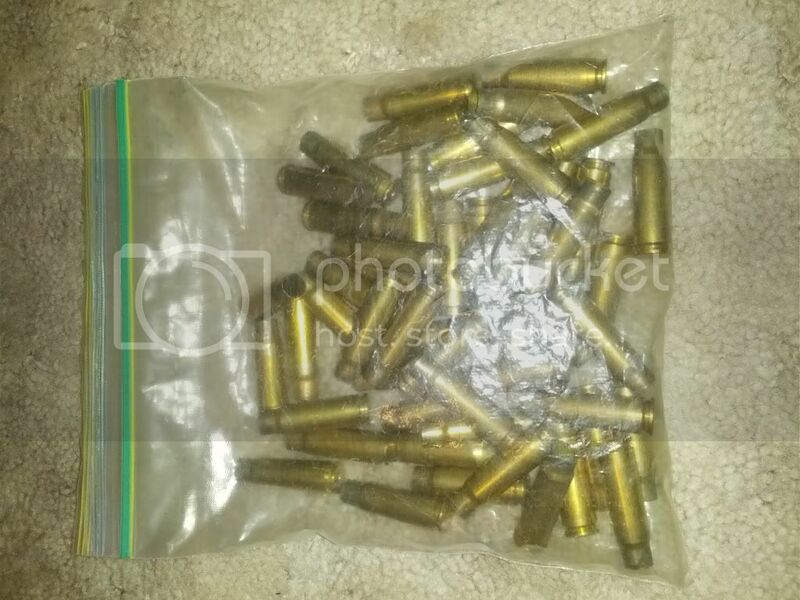 second is a bag of 7.62x39 AK brass... It is winchester brass. I think its about 50-60 pieces. Sorry im not by it right now to count it out. I forgot the exact number. 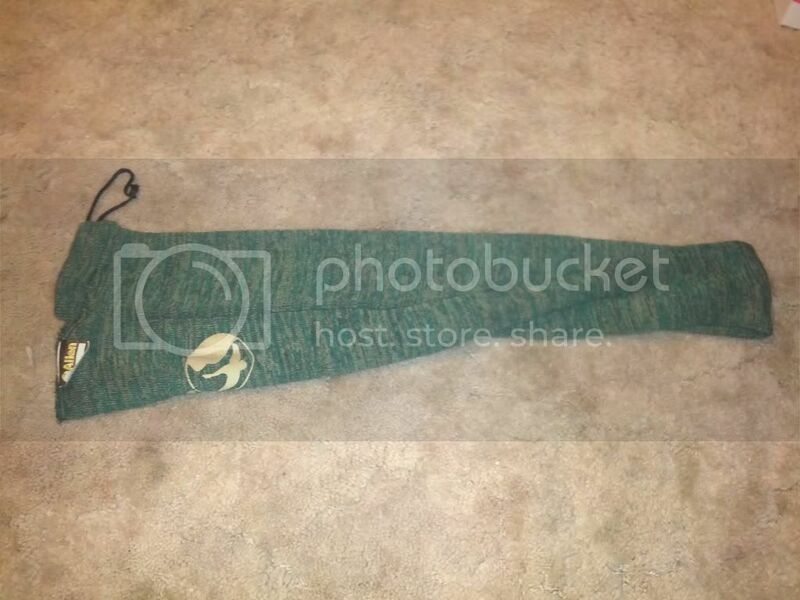 I will do 15 bucks shipped on it? 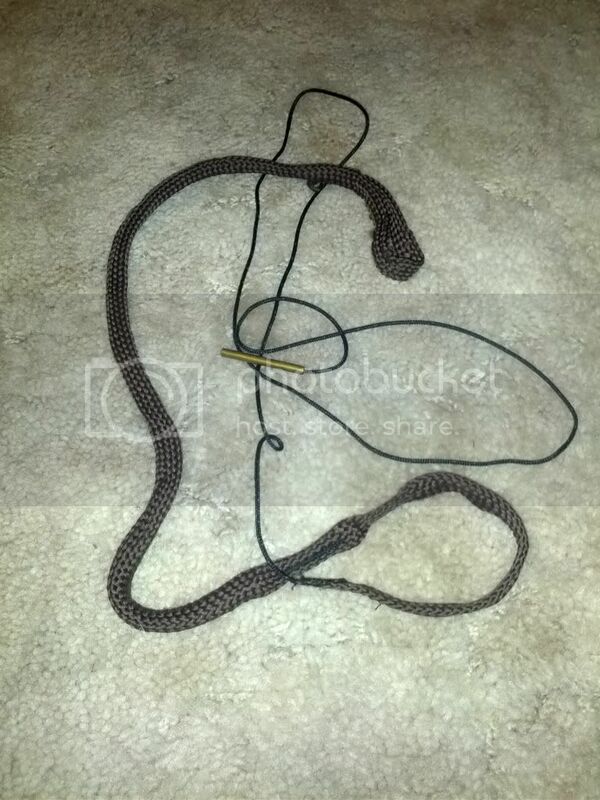 SOLD third is an almost new .17hmr bore snake. It has been maybe used once about 2 years ago... looks almost brand spankin new. I will let it go for 15 shipped. 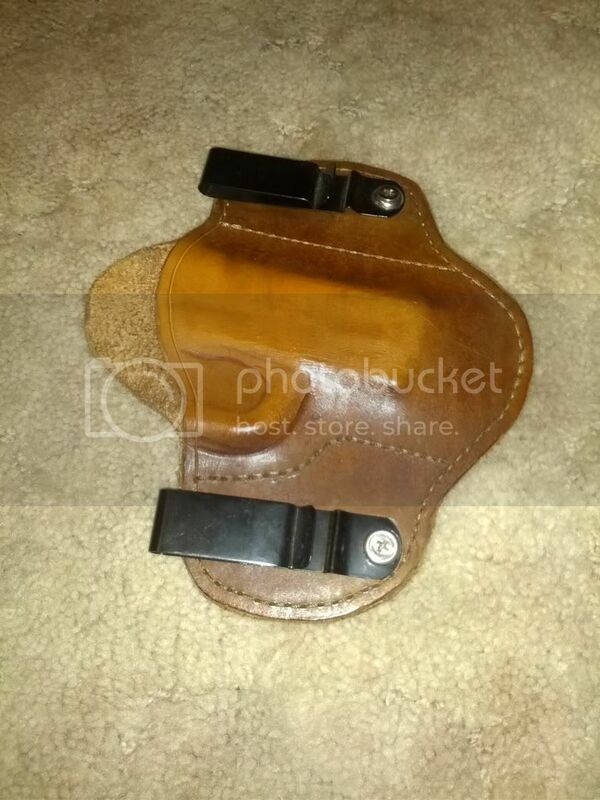 SOLD fourth is a really nice concealed carry leather holster. I had a smith and wesson m&p 9mm sub compact in it. I tried my glock 19 and it fit also.. others will work in that size range. It isnt company specific. 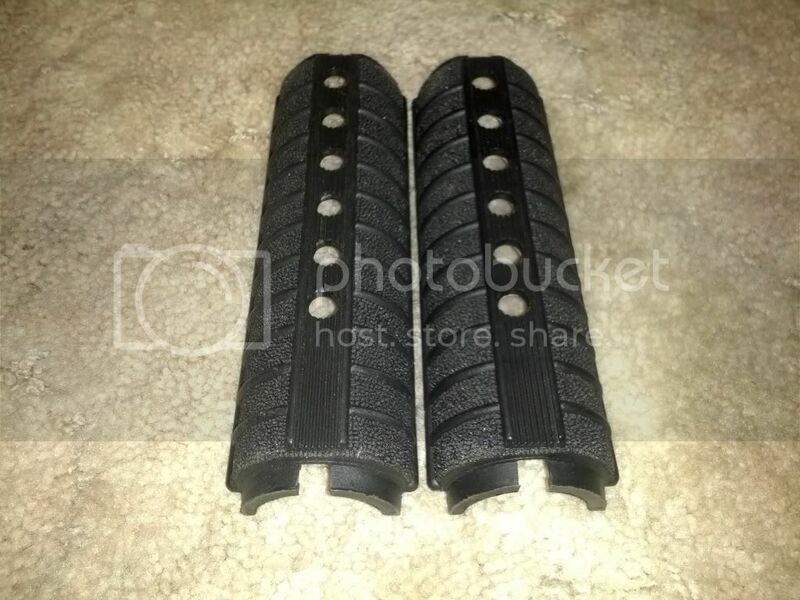 I do not know the brand.. but holsters like this usually run about 75 bucks. I will sell this for 55 shipped. 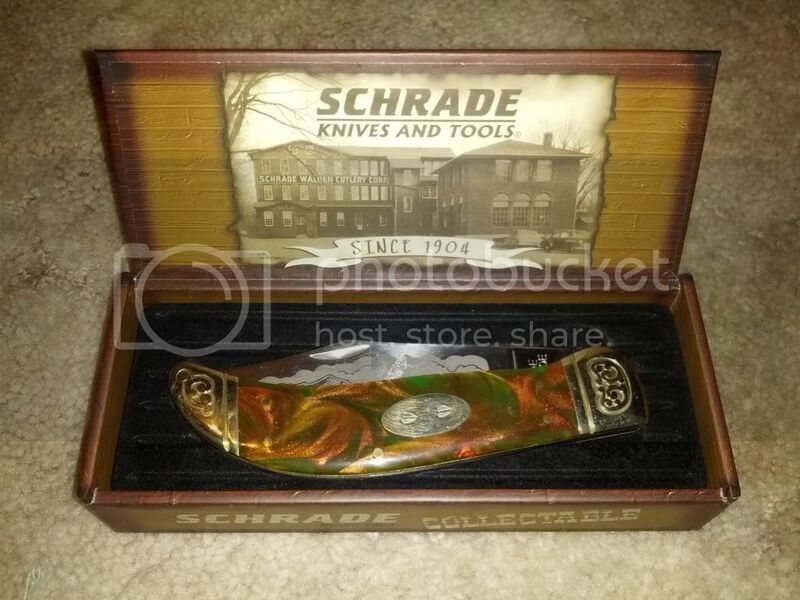 fifth is a Schrade collectible knife in box. This thing is REALLY nice and will shave hair it is so sharp. It has never been used. Just been in the safe. No scratches. 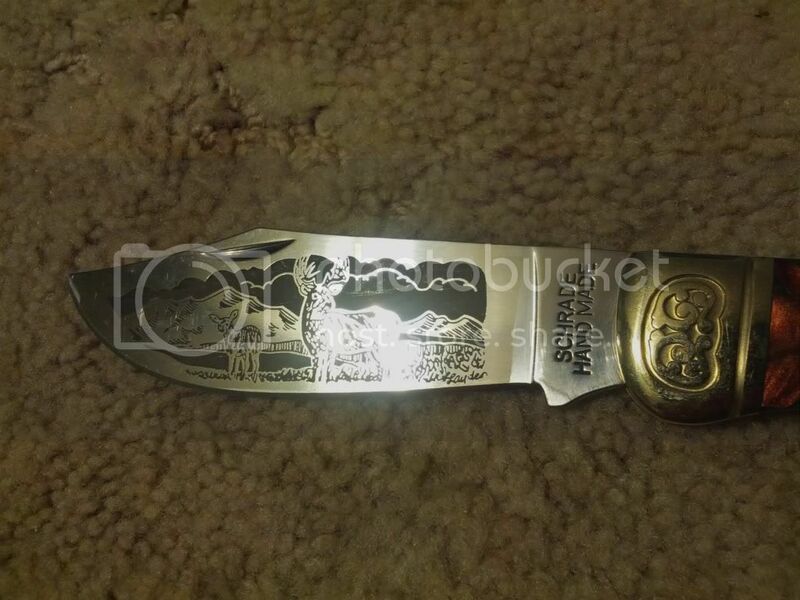 It has beautiful engraving on it. Deer tracks and all. 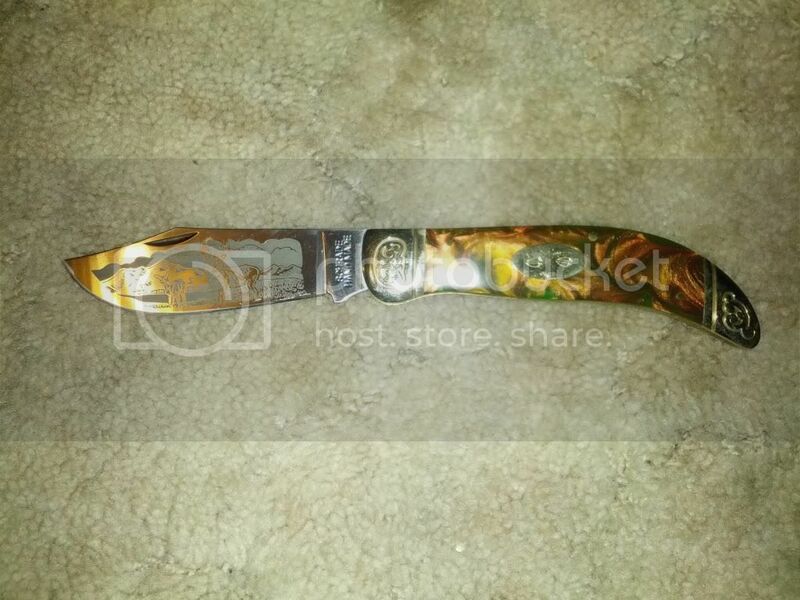 I dont know exactly what its worth... but a knife like this I figure at least 60 bucks shipped... i mean a kershaw folder costs that much! SOLD sixth is an allen gun sock... great shape. never really used. 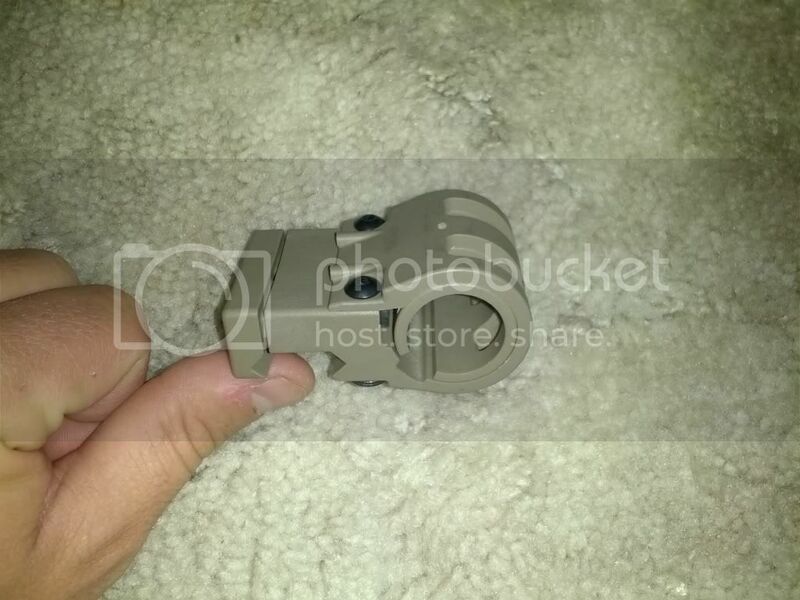 Seventh is a Viking Tactics FDE flashlight mount. Great shape. I will take 23 shipped for it. 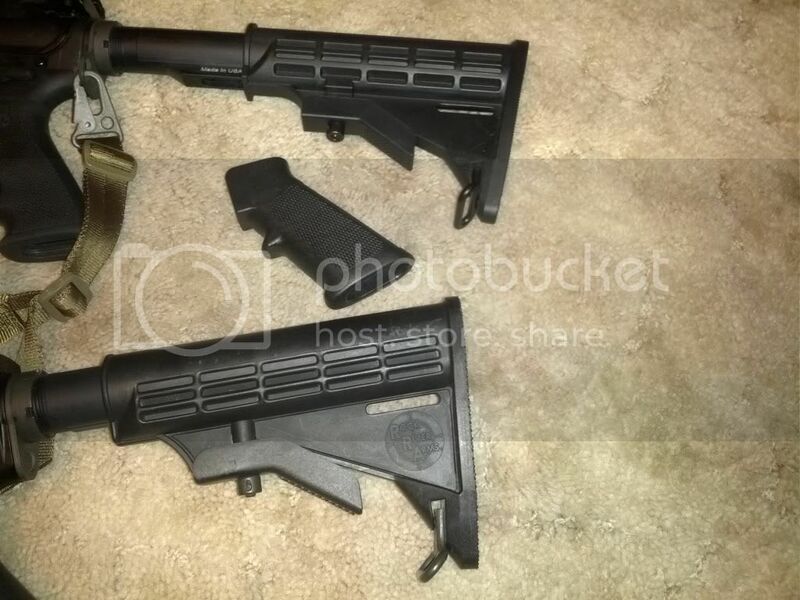 SOLD Last is a rock river arms m4 stock. good used shape. I will take 20 shipped on it. Pm me is the best way. I will take paypal gift or usps money order if you dont have an account with them. let me know thanks guys!